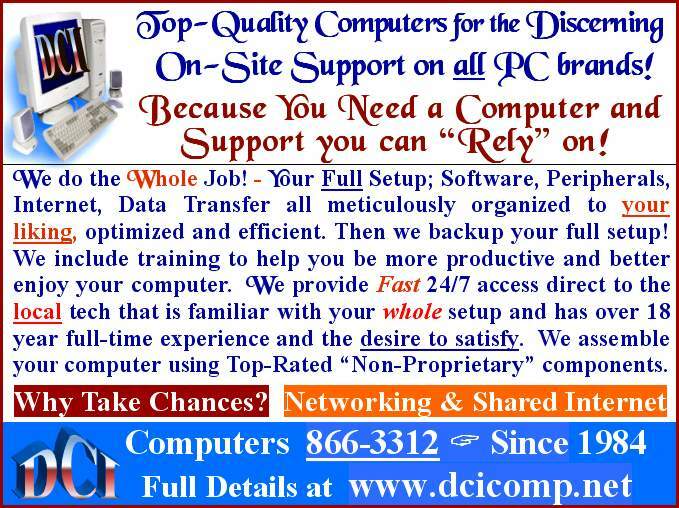 Support at DCI Computers 717-7917. 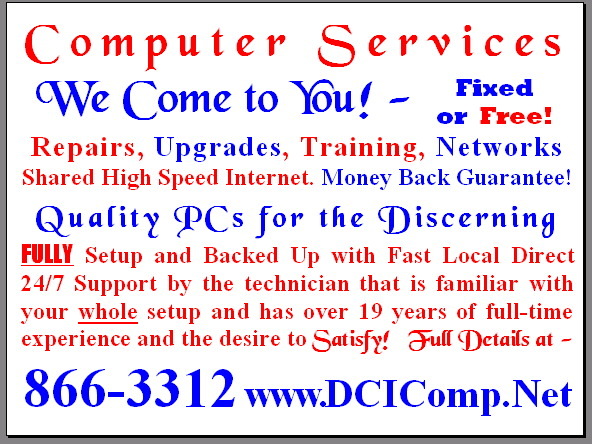 A Sample ad we run included to provide very concise information about our service. as it is only meant for ads we mail out to track advertising - Sorry! One of the biggest problems we face in advertising is trying to overcome consumer skepticism. It is easy to understand peoples skepticism, especially these days, however our claims are honest and we are hungry to please. Our interest is more than to make you happy with our computer, but to make you so happy that you won't hesitate to refer us to your friends! Destinations: - A page with links to many useful Sites. Some use it as their start page. 800x600 1024x768 or 1280x960 or download here. and we really will remove you from our database. strictly do local sales and support.